In 1990 the Coalition for Western Women's History inaugurated the Joan Jensen-Darlis Miller Prize to recognize outstanding scholarship on gender and the experiences of women in the North American West. Since then, the Jensen-Miller Prize committees have considered nearly two hundred submissions, and chosen thirteen for the skill and imagination with which the authors conducted research in original materials or reinterpreted a major problem in the field. Each piece was done with grace and style, and shaped the field for future historians. Women and Gender in the American West collects these essays for the first time on topics that range from Mormon plural marriages to women's experiences in Spanish Borderland slavery, from interracial marriage to the sexual exploitation of Indian women in British Columbia, from Navajo women weavers in the market economy to women's reform work in gold rush era San Francisco, from settler women in western Canada to Chicana activists in Texas. Beyond their topical interest, the essays also present the evolving analytical force of a field that has deepened and matured over time. Professors Jensen's and Miller's classic 1980 essay "The Gentle Tamers Revisited" is reprinted here along with a new Preface in which Jensen and Miller reflect on the course of scholarship as reflected in these essays. 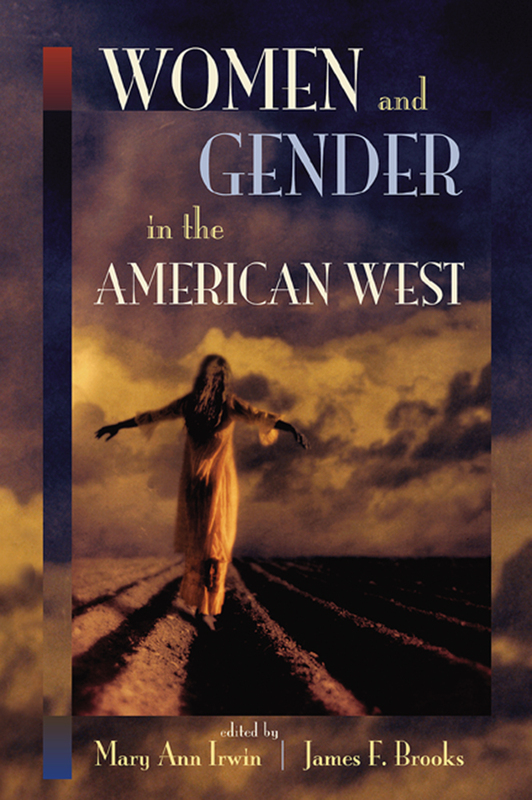 Women and Gender in the American West is a rare compilation of cutting-edge history. Royalties from sales of Women and Gender in the American West go to the Jensen-Miller Prize Fund of the Coalition for Western Women's History. Jean Barman is professor of history of education, University of British Columbia, Vancouver. Catherine Cavanaugh is associate professor of women's studies, Athabasca University, Alberta. Antonia I. Casteñeda is associate professor of history, St. Mary's University, San Antonio, Texas. Lynn M. Hudson is professor of history, California Polytechnic State University, San Luis Obispo. Susan Lee Johnson is associate professor of history, University of Wisconsin, Madison. Margaret Jacobs is associate professor and director of graduate studies, New Mexico State University, Las Cruces. Amy Kaminsky is professor and chair of the department of women's studies, University of Minnesota, Minneapolis. Irene Ledesma was assistant professor of history, University of Texas Pan American, Edinburgh. Carol Cornwall Madsen is senior research fellow, Joseph Fielding Smith Institute for Latter-day Saint History, Brigham Young University. Laura Jane Moore received a Ph.D. in U.S. history from the University of North Carolina, Chapel Hill. Peggy Pascoe is associate professor and Beekman Chair of Northwest and Pacific History, University of Oregon, Eugene. Mary Ann Irwin is an independent scholar and chair of the Coalition for Western Women’s History. James F. Brooks is a member of the research faculty and director of SAR Press at the School of American Research, Santa Fe, New Mexico.